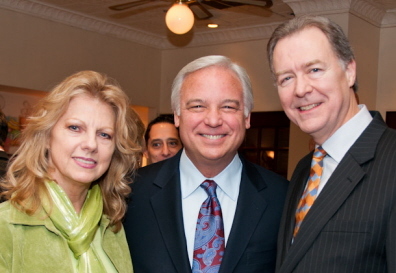 Ken Wallace and his wife, Mary, flank Jack Canfield - the star of "The Keeper of the Keys"
Ken Wallace, a favorite expert in the fun self-help film, ?The Keeper of the Keys?, passed away Dec. 28, 2012. KEN WALLACE in "THE KEEPER OF THE KEYS"
In the film, Ken reflected on the love between his grandpa and grandma, though the story goes beyond a traditional love story to reflect a deep sense of commitment and ethics. Writer/Producer Robin Jay writes, "Ken will truly be missed. During production and ever since filming, I was fortunate enough to have had many long conversations with Ken about his experience, his family, his life, and his work. I've never known anyone to have such a profound desire to help others"
When Ken Wallace first appears in the movie, viewers will notice a softness in his tone of voice and his gentle way. There is a bit of a surprise toward the end of the love story about his grandparents that makes many who see the movie long for the type of commitment that Ken's grandfather embraced. Ken knew this story would resonate with viewers. Jay adds, ?Ken was a kind and sensitive man. Thanks to his appearance in 'The Keeper of the Keys', he will continue to live on and inspire others for many years to come.? Ken Wallace was a consultant, a coach, a minister, and a beloved family man with a tremendous circle of friends. The Reverend Kenneth Leslie Wallace's legacy is vast. He had the distinction since 2000 of being one of only nine certified business process and system coaches for General Motors worldwide. 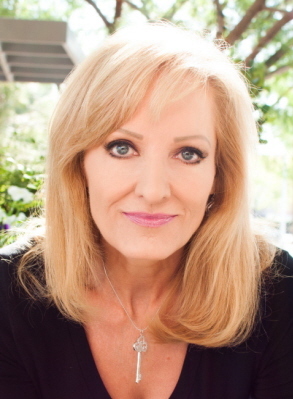 As a member of the National Speakers Association since 1989, Kenneth was a professional speaker, consultant and executive coach specializing in personal and organizational development. He is certified by the Mediation Training Institute International as a global mediation trainer and consultant and has taught at Southern Illinois University, Carbondale. Ken Wallace laid the foundation for his consultant and executive coaching business when he wrote a book entitled "Your Better Self, A Simple Guide to Where You Want to Be" Ken's clients included MCA/Universal, Connected International Meeting Professionals Association, General Motors, Ford Motor Company, Safeco Insurance, Daimler-Chrysler Corporation, Northwestern Mutual Life, Toyota, Mass Mutual Life, U.S. Junior Chamber of Commerce, Hyundai Corporation, and Nissan, just to name a few. His large family, many of whom gathered around him the past few weeks during his brave fight against cancer, was a constant source of joy for him. Kenneth is survived by his loving wife of 20 years, Dr. Mary Kathleen Cook-Wallace, of whom he lovingly referred to as Kat. He also is survived by his daughter, Rachel Elizabeth Tsiganos and son-in-law, Taso G. Tsiganos of Rockford, IL; son Jeremiah K. Wallace, and daughter Jaime M. McLean of Olympia, WA. Other children include Benjamin T. Mace and Christopher B. Butts of Carbondale, IL, and Air Force Flight Lieutenant T. Brooke Butts of Salt Lake City, UT, and six grandchildren, Nicholas, Braelyn, Alex, Taylor, Brooklynn, and Boston. A graduate of Illinois Wesleyan University, Ken Wallace held the Master of Divinity degree with honors from Drew University, Madison, New Jersey, and completed graduate work at Oxford University in England, the University of Tuebingen in Germany, and the Drew University Graduate School. As an ordained United Methodist minister, Kenneth pastored at the United Methodist in New Jersey; Albion Illinois Methodist Church; First Baptist Church and University Baptist Church of Carbondale, IL. He was director of the Wesley Foundation on the SIUC campus for seven years. For more on ?The Keeper of the Keys? or to order the DVD, click here. It is also available on iTunes.